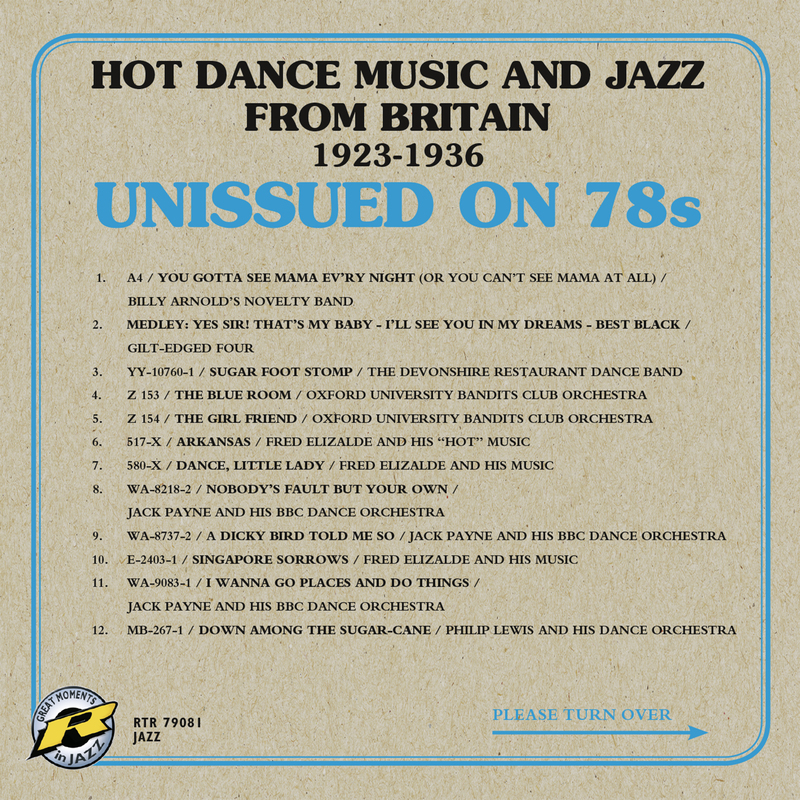 Hot Dance Music and Jazz from Britain 1923-1936, is again a fine release by Retrieval Records, a division of Challenge Records. Retrieval is one of the finest examples of a record label offering some of the most comprehensive sides to artists. For this release the label collected jazz dance music from 1923-1936 as heard in the public dance spots in London. Recordings were made of visiting American musicians, like Billy Arnold's band, as well as UK bands like the one of Jake Hylton. "Very nice that all this music still exists and has been put together for us on this complete album."